Dr Marek Kukula and Dr Joanna Griffin exchange ideas and discuss issues around the science of space and the night sky in relation to visual art. Commissioned by Fermynwoods Contemporary Art as part of the Free Exchange programme. pervade the cognitive formation of space technology and translate into actual technology. 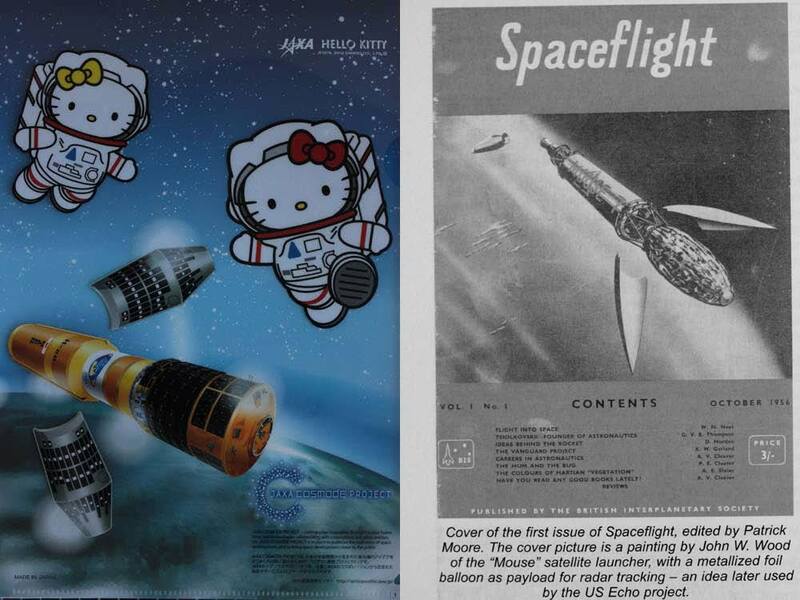 It is a paper that began with a hunch after I noticed similar tropes coming up in conversations with influential space professionals at industry conferences. 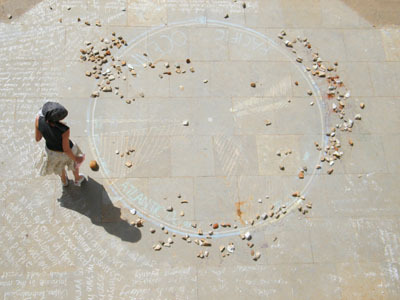 Global Lunar Day, Joanna Griffin from Arts Catalyst on Vimeo. Presenter and panellist with Bernard Foing, Executive Director of International Lunar Exploration Working Group; Bee Thakore, Space Generation Advisory Council and Marek Kukula, Royal Observatory Public Astronomer; moderated by Jill Stuart, Editor of Space Policy Journal. Republic of the Moon 2014 The Arts Catalyst, Bargehouse, London, UK. 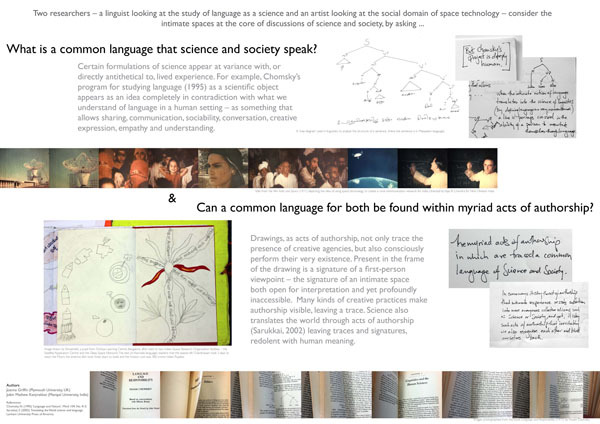 2013 'Language, Art and Authorship: A comparative approach towards making sense of the science-society question' (Joanna Griffin and Jobin Kanjirakkat). At Emerging agendas for citizens and sciences, University of Ottawa, Canada. [poster] [participation by invitation]. How do we trace an experience of science and society within the intimate spaces of our lives? Invited speaker, Centre for Contemporary Studies, Indian Institute of Science, Bangalore, Karnataka India. 63rd International Astronautical Congress, Naples, Italy. 2012 'The Incorporation of Transdisciplinary Thinking into the Development of Hitchhiking Payloads'. Kalpaneya Yatre Astronomy Festival, Jawaharlal Nehru Planetarium, Bangalore, Karnataka, India. 2011 Secret Satellites exhibition, Belfast Exposed Gallery, Belfast, UK. (with Prajval Shastri), 13th All India People’s Science Congress, Sree Kerala Varma College, Thrissur, Kerala, India. Global Lunar Congress (GLUC) and 11th ILEWG Conference on Exploration and Utilisation of the Moon,, Beijing, China. 2009 (with Babita Harry), 15th International Symposium on Electronic Arts (ISEA): Engaged Creativity in Mobile Environments, University of Ulster in association with Dun Laoghaire Institute of Art, Design and Technology, Belfast, UK.